At the same time since they are more prone to Dirt, Dust and weather conditions, we must be able to clean the floor very often easily. When consider these features plus the cost effectiveness compared to other patio flooring options, without any argument tile is the best option available for exterior patio flooring among all. Another good thing about tiles is they can give other desired looks such as stone or wooden and therefore you still have the chance to get the best look you want without changing the material. Saltillo tiles are easily cleanable by sweeping mopping or horsing off. Now you have cleared your mind about the material and it is the time to select the brand, which included all the necessary features. 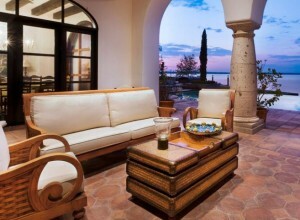 Saltillo tile is a great quality choice for both indoors and outdoors, as it can make any space beautiful and perfect. Since each tile is handmade, each design is unique and cannot be found anywhere else. Your visitors will surely surprise by seeing how Saltillo outdoor tile perfectly blends with nature and make a wonderful space for outdoor living. Saltillo outdoor tiles are available to choose from three finishes as Traditional, manganese and antique. 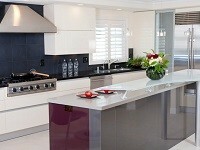 Each Finish has its own colors that perfectly go with ultimate finish. Antique Saltillo outdoor tiles are great for people who love old world style, and come in a variety of warm, natural tones. Most importantly they have been created with a rough texture, in order to prevent slips for safer outdoor fun. The lush brown tones of Saltillo patio tiles will perfectly match with your greeneries around and make it more eye-catching. If you love to give a luxurious look to your patio choose traditional Terra Cotta style from Saltillo, and mix them with our unique Talavera tiles. 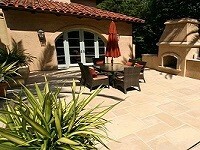 Manganese finish will be ideal for those, who want to give a modernized look to their patios. Saltillo outdoor tiles for modern look included lighter or darker shades of brown colors which are available to choose according to your preferences.